Front Door to unit on the right - ocean just steps away. State-of-the-art Kitchen looking out towards the patio. 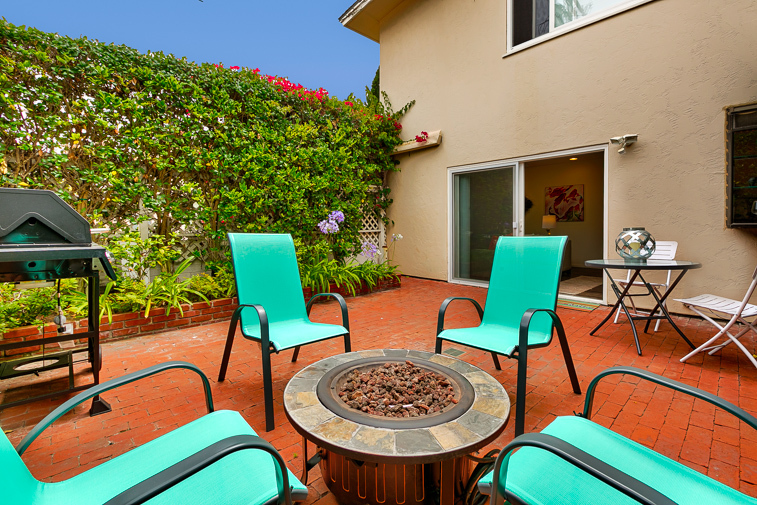 Patio with a fire pit for you to enjoy! Great Room showcasing well-appointed Dining and Living Room areas. living room with flat screen tv Enjoy ocean views from the front Living Area window. 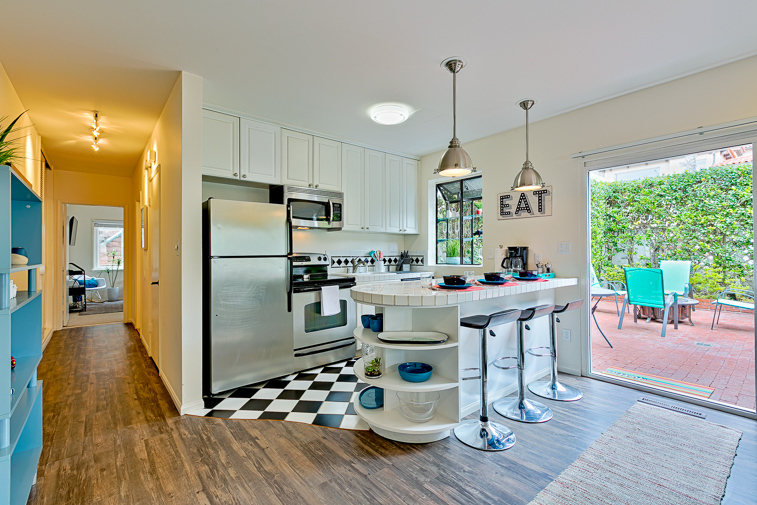 Great view of light, bright wonderfully decorated Kitchen, Dining and Living areas. 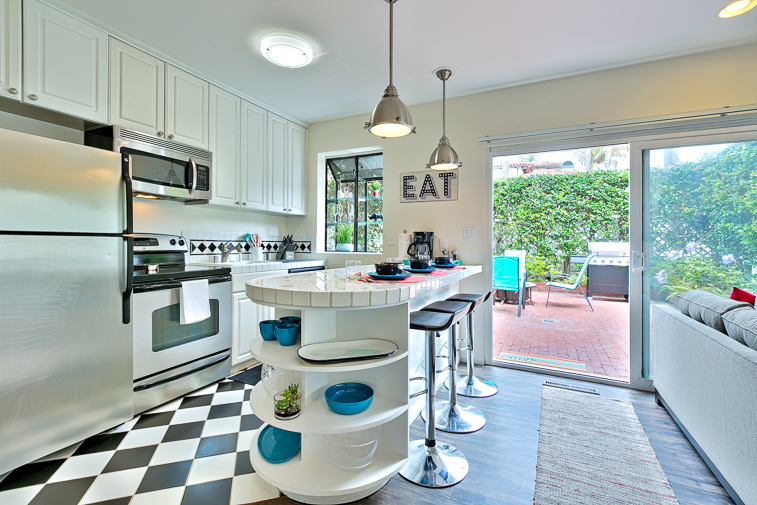 This completely updated Kitchen has everything you need to create your culinary delights. 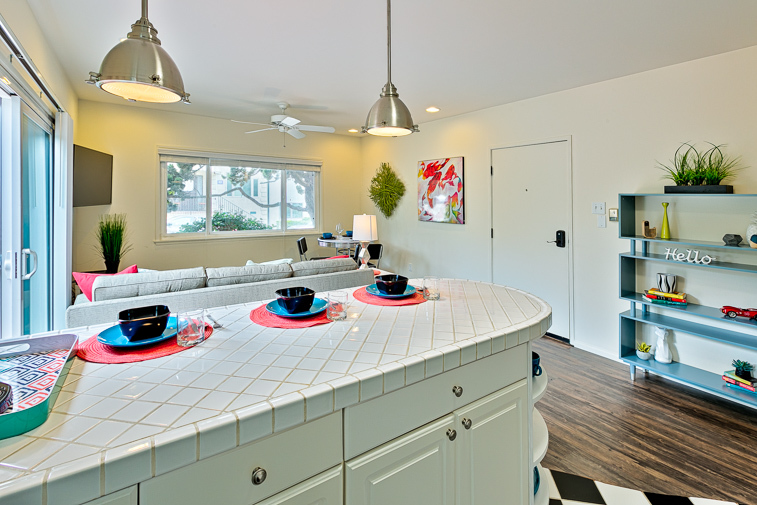 Breakfast Bar for 3 separates Kitchen and Living areas. Alternate view of Kitchen looking into Living Room. View of Kitchen looking back to the Bedroom and out to the private patio. Modern cafe style seating for 3 in the Living Area with an ocean view. View of Great Room with a large flat screen TV from the Cafe seating area. 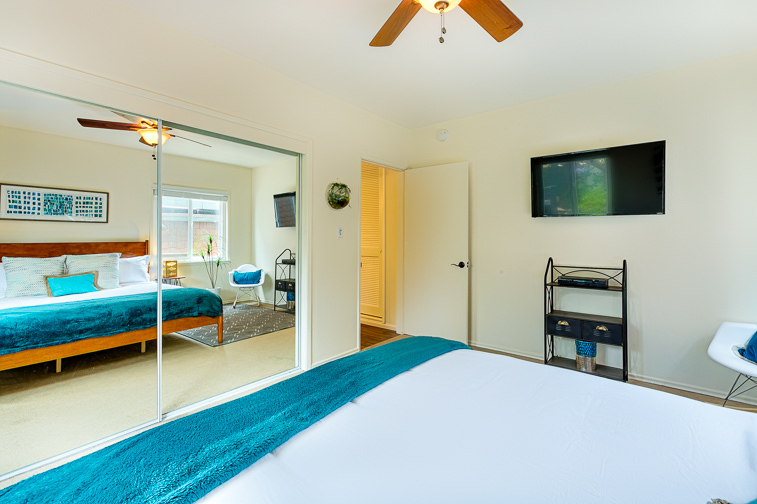 King Bedroom with large flat screen TV and a ceiling fan for your ultimate comfort. View of well-appointed bedroom looking down the hall towards the living room. King Bedroom - alternate view. Lots of closet space in the Master Bedroom. Beautiful modern full bath with tub/shower combo. shower Enjoy the sounds of the surf while relaxing on your Patio. Larger back yard off patio is shared by rest of building. 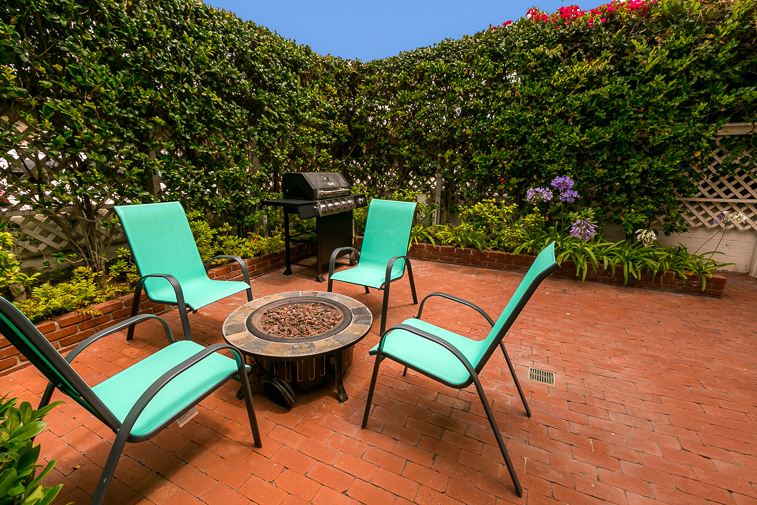 Enjoy a night outside area and dining al fresco by the fire pit. View of Parking Garage just across from famous Windansea Beach. Beautiful Windansea Beach. Windansea Beach - alternate perspective. 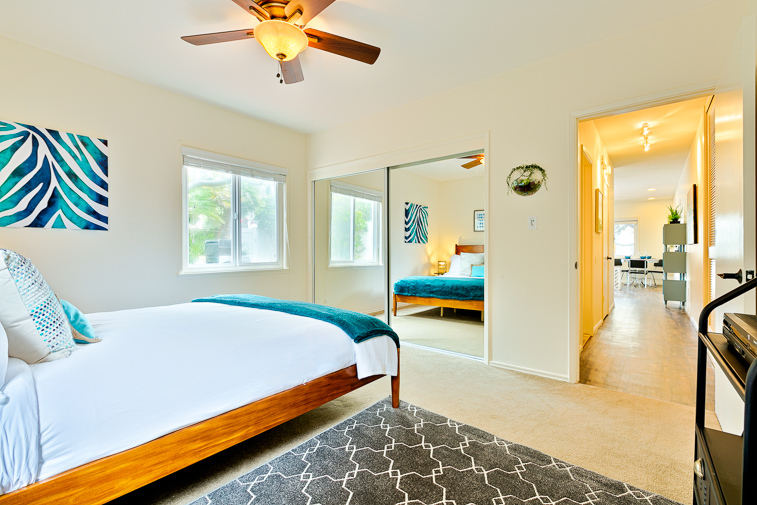 With an ideal oceanfront location on La Jolla’s famous Windansea Beach, this beautifully appointed 1 bedroom 1 bath single story beach condo allows you to be on the beach in seconds. Simply cross the street and there you are! The rhythmic sounds of the surf will soothe you during the day, lull you to sleep at night, and invite you to settle into a gentler, slower pace for your vacation retreat. A very private patio with a barbecue, places for dining al fresco, and a fire pit make this vacation haven as enjoyable outside as it is inside. 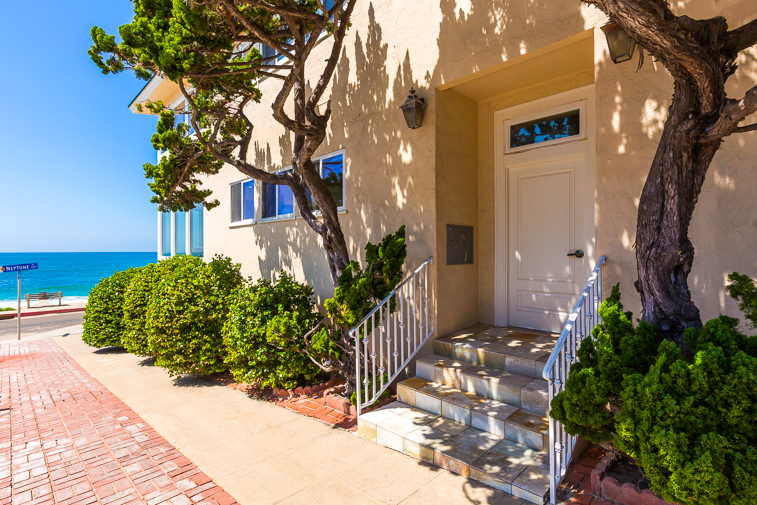 Enter this well-appointed home and take in the expansive great room with charming, modern beach-inspired décor and a peek ocean view. 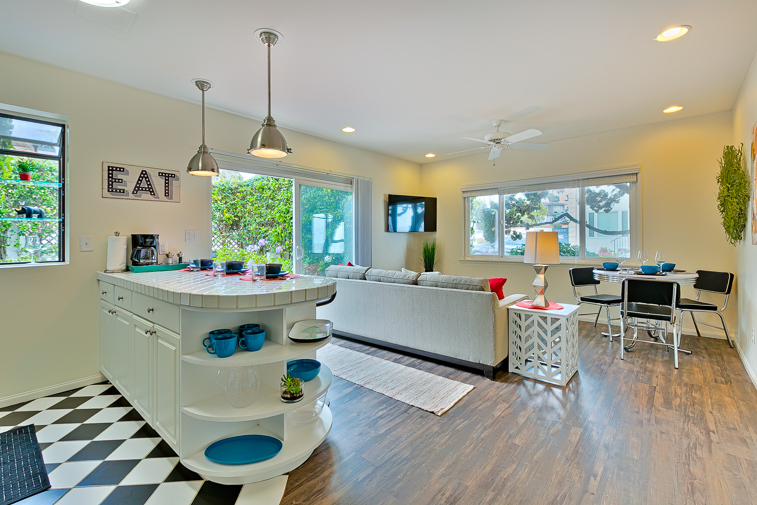 A totally modern kitchen that has everything you need to satisfy your culinary desires, a spacious dining area for 6, and a living area with lots of comfortable seating, and a flat screen TV create this as a great space for dining, relaxing, and recharging. Add a breakfast bar for 3 between the kitchen and living area, and a modern café table nook for 3 in the corner of the living room, from which you can see the ocean, and you have lots of places to enjoy your vacation time together. 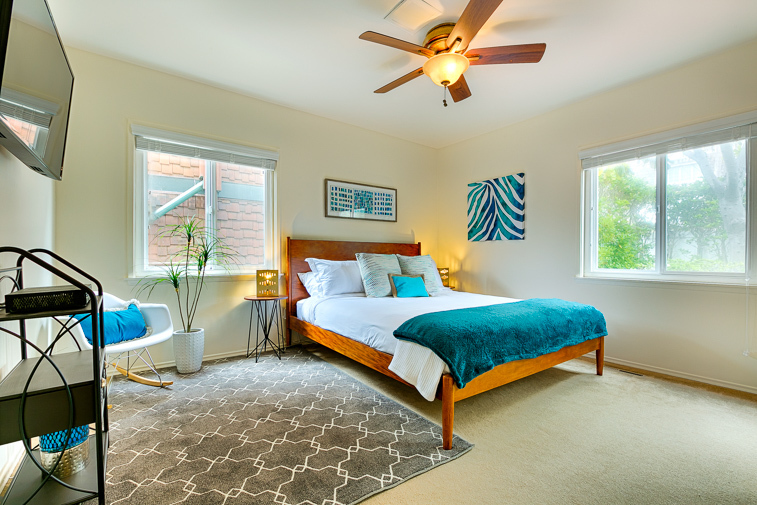 A well-appointed, comfortable king bedroom with a large flat screen TV, a ceiling fan, and ample closet space awaits you at the end of the hallway. 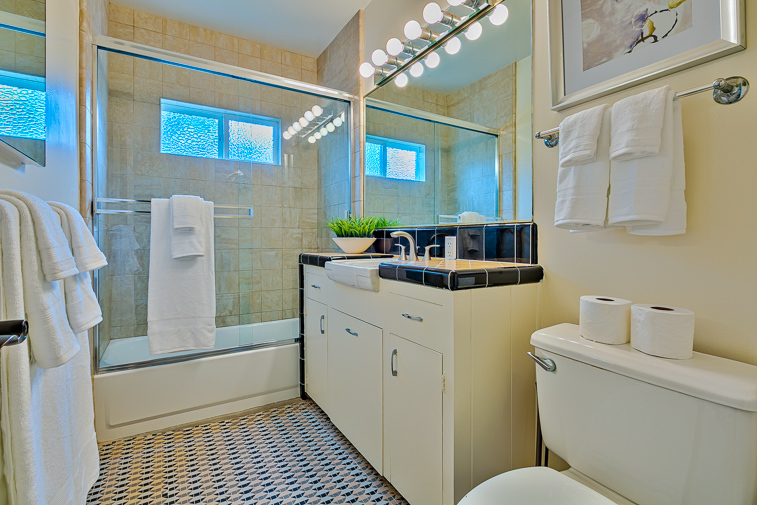 It is accompanied by a modern full bath with a shower/tub combination. The bedroom and bath are furnished with luxury linens to nourish your body and ensure your ultimate comfort. There is also a free communal laundry for your use as well. 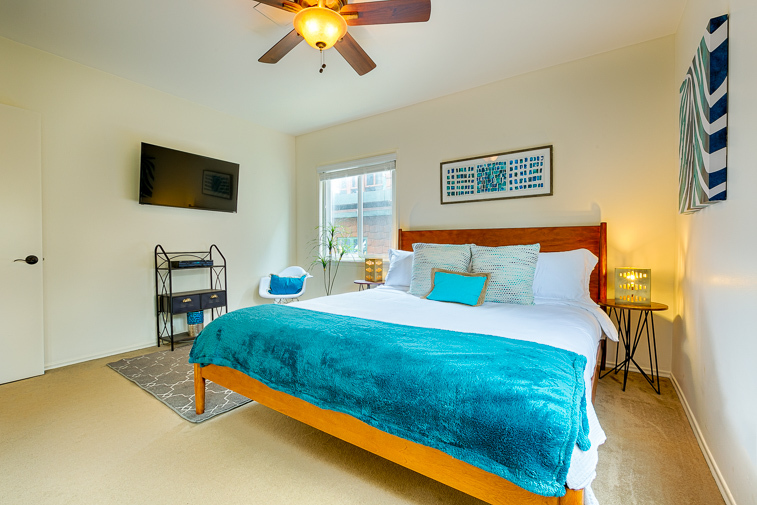 Ideally located at Windansea Beach and only a few minute drive to La Jolla Village, where you can enjoy the world-class restaurants, cafes, galleries, and shops that La Jolla is so famous for. This unit is located in the same complex as Beachfront Bliss I, II, and III, all 4 units are available to rent for larger groups; please contact our Reservation Team for details. 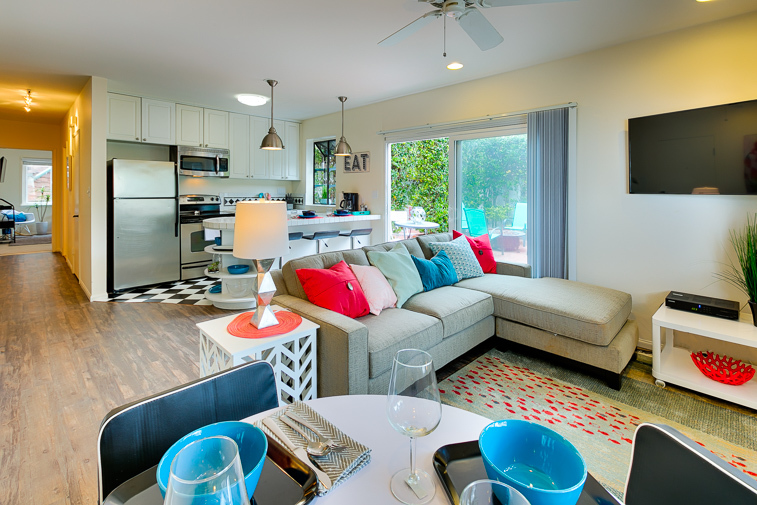 Just a few steps from Windansea Beach with its long sandy beaches for strolling or just relaxing. 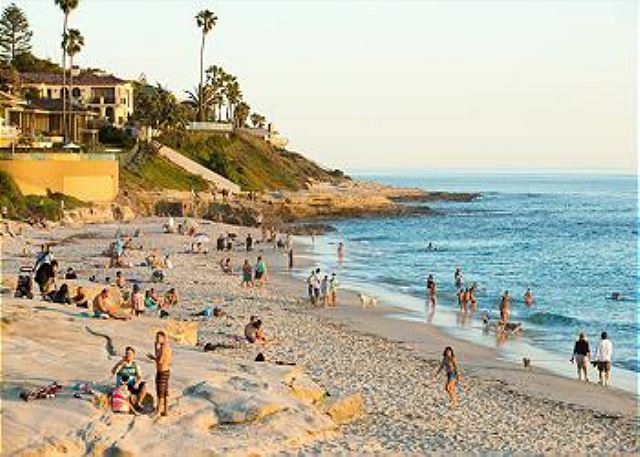 Just a few minute drive to La Jolla Village with its world-class shops, galleries, and restaurants. Freeway access is just a couple of miles away in the event that you wish to explore the many attractions of the greater San Diego area. Calm, serene, spacious interior where you can retreat after your day’s explorations - a wonderful space to enjoy your vacation time. 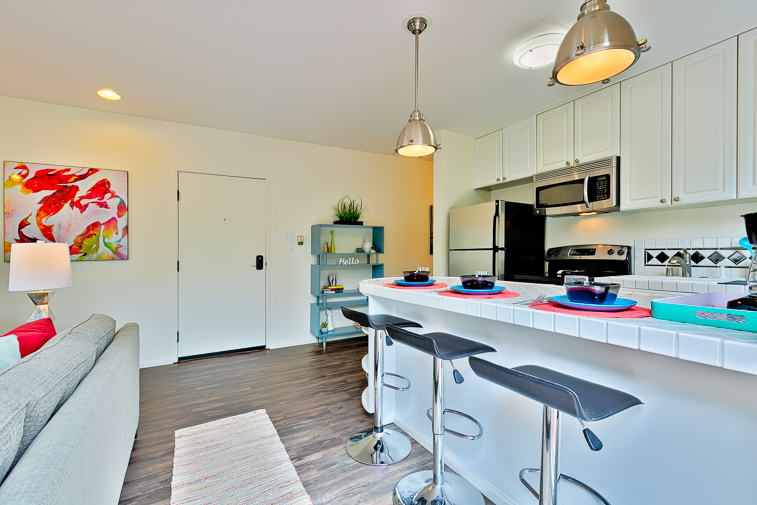 The washer and dryer is communal for the complex and is free. There is a one-car garage with one tandem parking space behind it. The property was clean, well maintained, well furnished and the location was fabulous. Kitchen had all we needed and the outdoor patio with gas firepit was a very nice conclusion to many of our evenings. La Jolla was a fun place to visit, great activities. 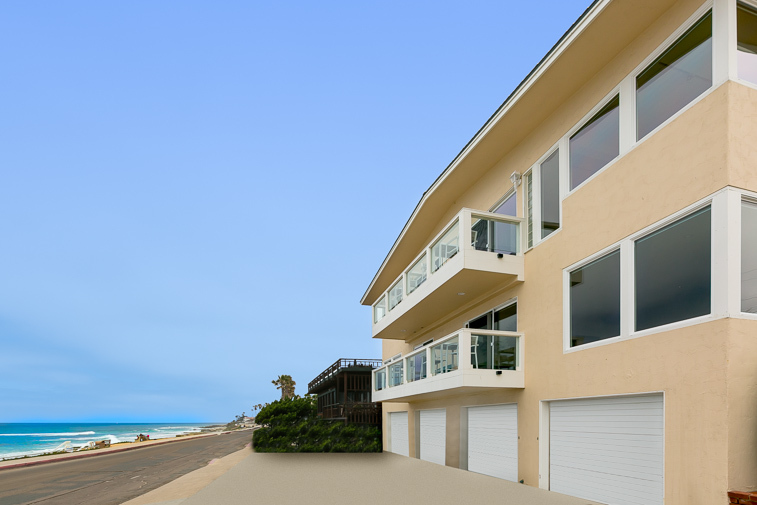 I would recommend Beachfront Bliss IV to friends and family alike. - Reviewed By Richard B. We loved our little condo at 212 Rosemont. Convenient to the beach and access to the Village easy. Walking along the beach and through the WindnSea neighborhood made us want to experience it again. Stayed eight nights and didn’t want to leave. Garage is a bit tight for our SUV but folding in the mirrors worked. Thanks fora great experience. - Reviewed By Gregory J. We stayed at Beachfront Bliss IV July 20-24 and wish we would have booked for a longer trip. 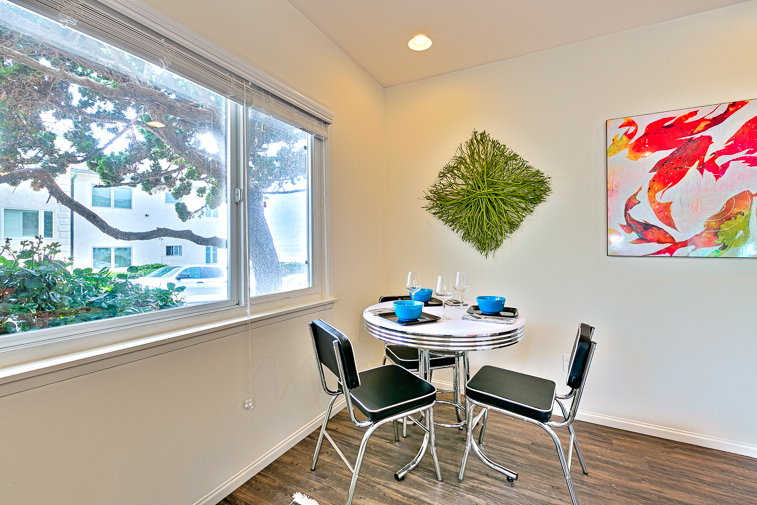 The location is literally right across the street from Windansea beach. We spent lots of mornings and evenings walking on the beach, watching the surfers and enjoying the area. Upon booking, everything went smoothly. Communication with property management was prompt and efficient. The app contained everything we needed to know from check in to check out as well as local information. The unit contains one bedroom and one bathroom. Perfect for a couple. There is a living area where a smaller child could sleep but I think it might be tight. One of our favorite things was the private patio in back. We spent every evening enjoying the fire pit while drinking a glass of wine and listening to the waves. We definitely recommend SeaBreeze and this unit. - Reviewed By Becky B. This place was perfect for us. This place was perfect for us. Literally right on the beach!!! We loved falling asleep to the sounds of the ocean and are hanging at the beach. Very quiet location. No issues. Extremely well stocked kitchen tho we opted not to cook. The unit was very clean and check in and out procedures were easy via an app. We totally want to come back to this space. We stayed for 6 nights. The condo was perfect. It was clean, beautiful, and the location was outstanding. We thoroughly enjoyed the back patio as we barbecued and utilized the fire pit nightly. Would definitely stay again and highly recommend. 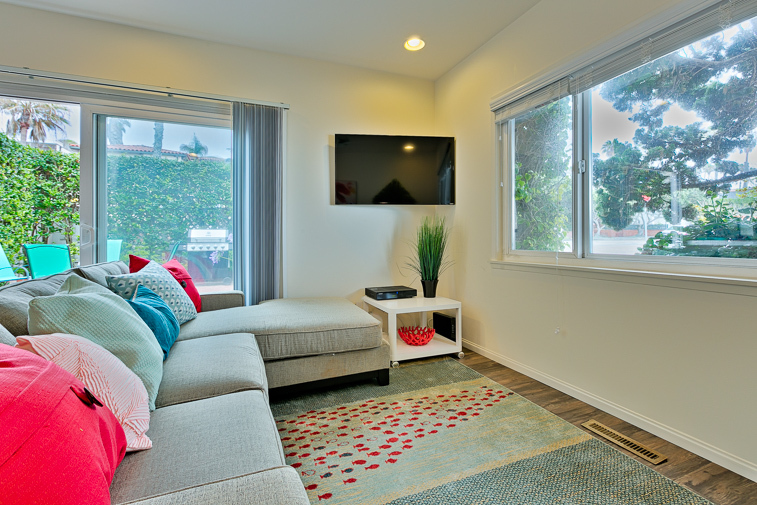 - Reviewed By Laura A.
I booked this rental as part of my daughter’s graduation gift. We had a wonderful time and would rent from sea breeze again. Being so close to the ocean was amazing! I also felt the communication from sea breeze was top notch and the property was very clean. - Reviewed By Sheree S.
- Reviewed By Marissa C.
Just finished another 10 day stay in 212-Ros-Beachfront Bliss IV! We absolutely love this place! The weather was a bit chilly, but it made for great days outdoors at the San Diego Zoo, San Diego Safari and the Aquarium! SeaBreeze rental company has yet to disappoint. This place is a perfect location! Literally a few steps away from a quiet beach. We tried all the restaurants around the area and the favorites were Grater Grilled Cheese and Cafe Milano's Spaghetti with meat sauce was heavenly! I had that on 3 different occasions! Already looking to book again next year! Thank you again SeaBreeze for ANOTHER great stay!! Clean and cozy. Perfect get away for my wife and I. 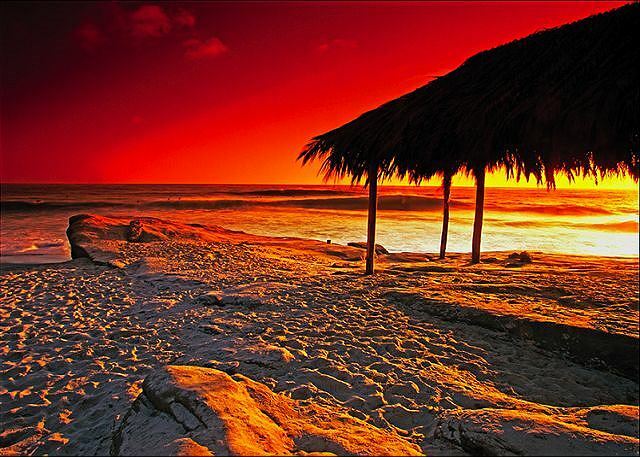 Hear the waves while sitting on the couch or in bed. Well stocked with all amenities. Would definitely stay again! We just returned from 212ROS on Windansea Beach and it was perfect! The pictures online are accurate, it was clean, well maintained and stocked with everything needed for a great vacation, even beach chairs! The beach is right outside the front door, it is a very quiet beach, lots of surfers to watch, and a safe neighborhood. The bed was comfortable, and with the windows open you can hear the ocean waves at night! 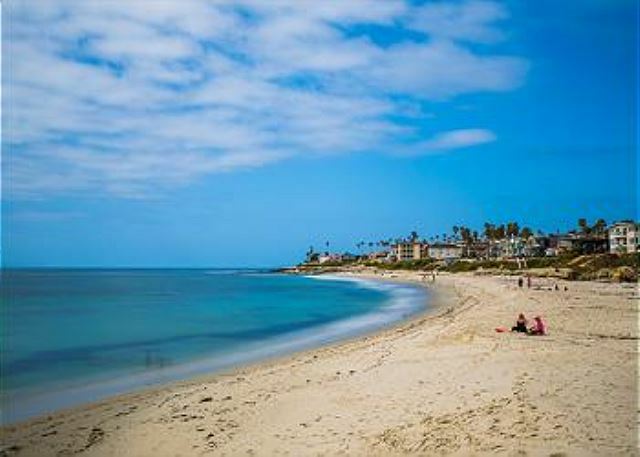 La Jolla is walking distance and offers plenty of shops and great restaurants. Seabreeze Rentals offered a app that had all the needed information for our stay which was a great help. They were easy to work with and available for questions. We would definitely return and book again through Seabreeze! Just finished our stay at 212-Ros-Beachfront Bliss IV! Came to La Jolla with my 18 yr old daughter to celebrate her graduation! We were more than impressed. The condo was beautiful. Pictures are exactly what it looks like, except much better. 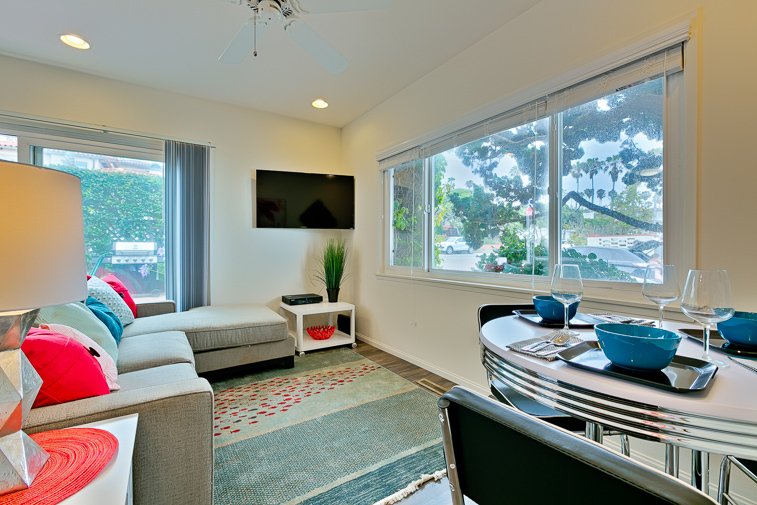 It is very clean, bed was very comfortable and the kitchen was very spacious with full amenities! Plenty of bath towels, beach towels, ironing board, iron, etc. 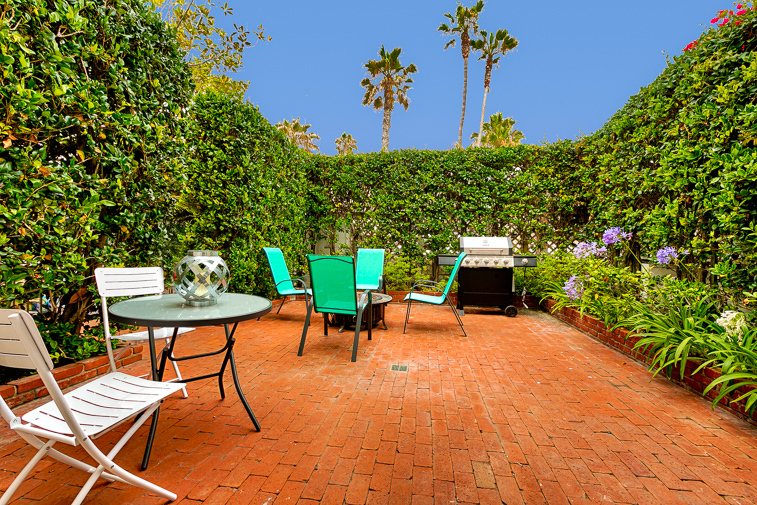 It is in a perfect spot and steps from Windansea Beach. 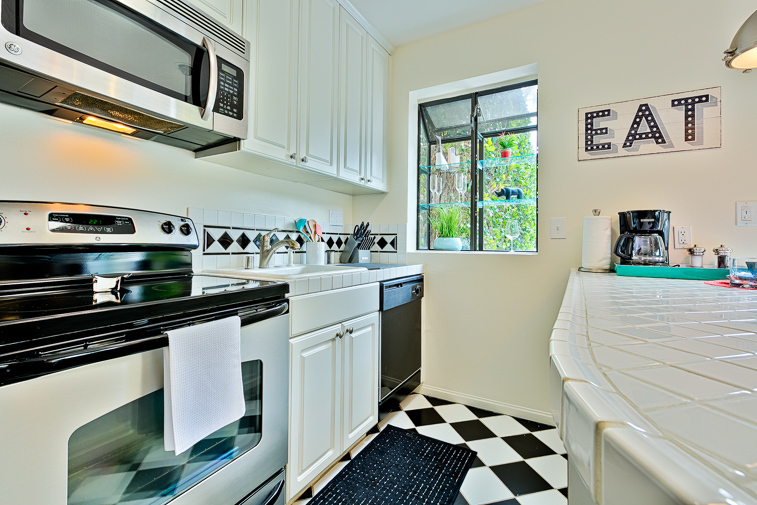 Also very close to lots of restaurants and close to many attractions like Sea World, etc. We are so happy with our stay that we are reserving 2 weeks next year in the same unit! SeaBreeze rental company is great to work with and very responsive to any questions or needs you have! Thank you again for allowing us to stay! We will see you again next year! We had a wonderful stay at the condo. The location was unbeatable and we were pleasantly surprised how well appointed and clean it was. We very much appreciated the abundance of towels and linens and found the apartment very comfortable. My daughter and I had a wonderful stay. The property was just like the pictures. It was very clean and cozy. 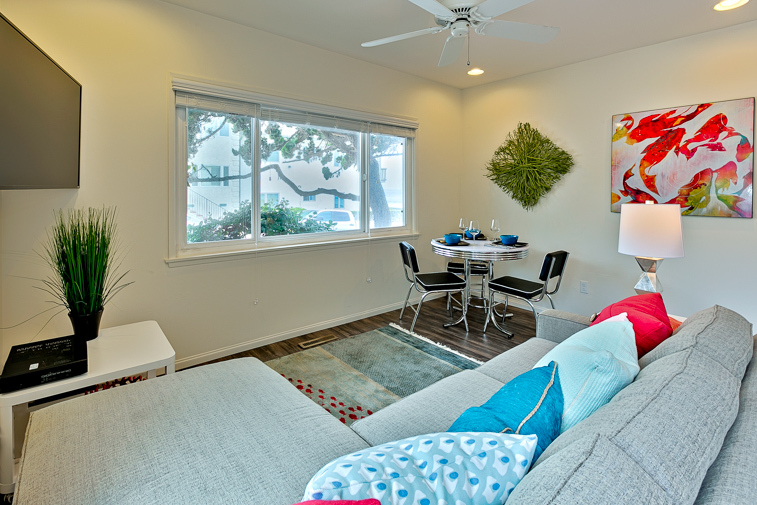 It was close to downtown La Jolla and only a 25 minute drive to downtown San Diego. The best part was the beach was right across the street. We would definitely stay here again!